This is a Men's ministry based at St Dominic's Catholic Church located at 5919 Ingram Road and we hope to provide you information about Jesus Christ and His Catholic Church. We hope that you will enjoy your visit, please go to our Members page and sign up to become a member so that you can contribute to the different postings. All are welcome. 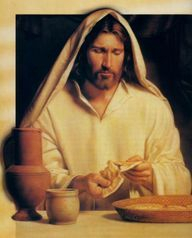 Jesus wants to give you the bread of life, to sustain you for the journey. The journey of life. Do you believe? Do you want this bread of life? Jesus gives us His Body and Blood in the Sacrament of the Eucharist each day at Holy Mass. Mark your calendars for our next "Bible Sharing". We would like to invite the men of the community to an early morning "Bible Sharing" from 7:00am to 8:30am at St Dominic in the Molchan Hall. Mark your calendar and bring your bibles to reflect on the scriptures, sharing and praying with one another. Come enjoy a special time with God! What kinds of storms are going on in your life today? Are some of these storms things you have control over? Have you given your life over to Jesus and placed your trust in Him? Our next CN4C Men's Fellowship meeting will be held at the St Dominic's Piper Community Center. It will be on Monday, February 18th @ 7pm. We give all glory and praise to our Lord Jesus Christ for continuing to bless us and bringing an abundance of hungry men, physically and spiritually to our meetings. There was a man sent from God, whose name was John. 7 He came as a witness to testify to the light, so that all might believe through him. 8 He himself was not the light, but he came to testify to the light. 9 The true light, which enlightens everyone, was coming into the world. As we prepare to celebrate the birth of the Christ child, be like John the Baptist and testify to the light and proclaim Jesus as our Lord and Savior. 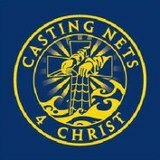 CN4C (Casting Nets for Christ ? St. Dominic?s Men?s Fellowship Ministry - every 3rd Monday of each Month, 7-9pm) - Dinner is served (free). Desire for Christ Men?s Ministry ? San Martin De Porres ? last Monday of each month. This Man is You Ministry ? Prince of Peace, Monday morning at 5:30am, start January 22, 2018. (Will be over early so you can get to work). Gabriel Fernandez, 210-724-3704. Men, the purpose of our ministry is to bring you closer to God, to encounter Jesus Christ where you are at and to have a deeper relationship with Him. God became man to save us from our sins but in order to be saved we must be baptized, we must acknowledge Him as our Lord and Savior and we must be obedient and faithful to Him. Our journey on this earth is not easy and tempation is all around us but we must stay focused and trust in God to guide us. We must help and love each other by encouraging one another. Pray often and give thanks to God for our daily blessings.